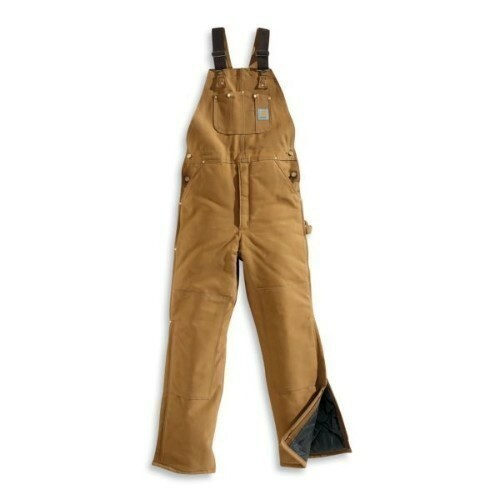 Our Men’s duck bib overall is arctic quilt-lined to keep you warm on the job site. Made of 12-ounce, 100% cotton duck, it is lined with quilted, 100% arctic-weight nylon. It features a zipper fly, multiple tool and utility pockets, a hammer loop, legs that zip to knee and have protective wind flaps, and double knees with cleanout bottom to accommodate knee pads.